These Step-By-Step instructions are for creating Multiple SSIDs on your Asus RT-D12 D1 router. The term “Multiple SSIDs” refers to having more than one Wireless Name Broadcasting from the Router. For example, you may have a “Company” wireless name in which company users connect to for Internet and Shared resources. 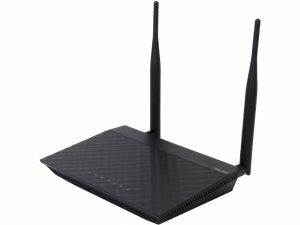 You may also want a “Guest” wireless name to broadcast from the same router in which other users can connect to for Internet but NOT be able to access any of the Company computers. These Step-by-Step instructions below are designed with this purpose in mind. Remember that the RT-N12 D1 revision is a good bit different than the revisions before it. Most notably the B1 and C1 revisions so these instructions are specifically tailored for the Asus RT-N12 D1. Most importantly, before proceeding your Asus RT-N12 D1 must be using Firmware version dd-wrt.v24-18774_NEWD-2_K2.6_mini.bin. If you have not yet installed this version of DD-WRT on the Asus RT-N12 D1 then head over to How to install DD-WRT on the Asus RT-N12 D1 and then come back once you’re done. note: If your Router IP is different you need to keep that in mind as you work through these instructions. You will need to substitute 192.168.1.1 for your Router IP. Open the Wireless -> Basic Settings tab. Make the following selections below. Click on Apply Settings at the bottom. IMPORTANT! Do NOT try to implement Wireless Security at this time. This will need to be done at the very end. type “br1” into the blank input box that is on the left side of all the options that just appeared. For the STP setting choose Off. Under Create Bridge section new input boxes will appear (note: This new bridge needs to have an address that is in a different subnet than your main LAN. note: sometimes on the next step you need to wait a few seconds before certain options appear. Wait about 30 seconds then proceed. Select “br1” in the left drop down menu that appears. Then for the Interface select “wl0.1” in the other. Under the Multiple DHCP Server section click on Add. Once you know this all works, you can log back into the unit and go back to Wireless->Wireless Security and set the Encryption types for both the Main and Virtual Wireless interfaces.